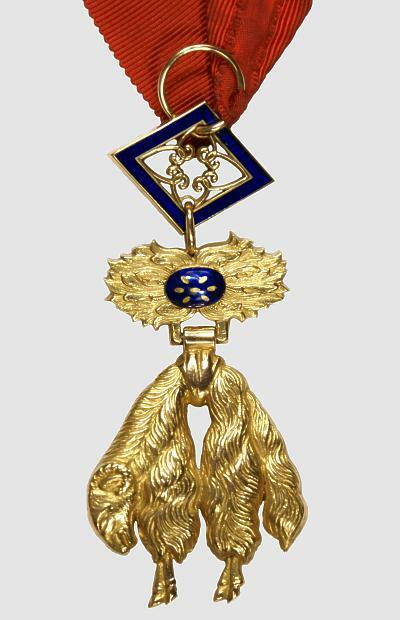 Spain Order of the Golden Fleece Neck Decoration in silver, gilt and enamels, with ribbon. 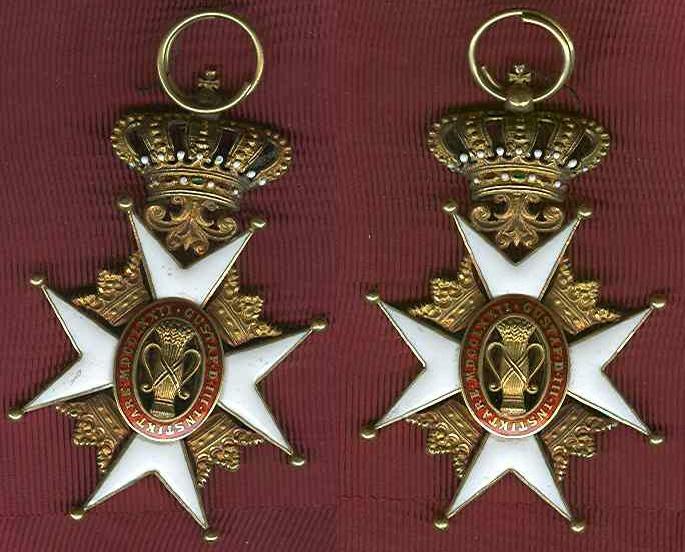 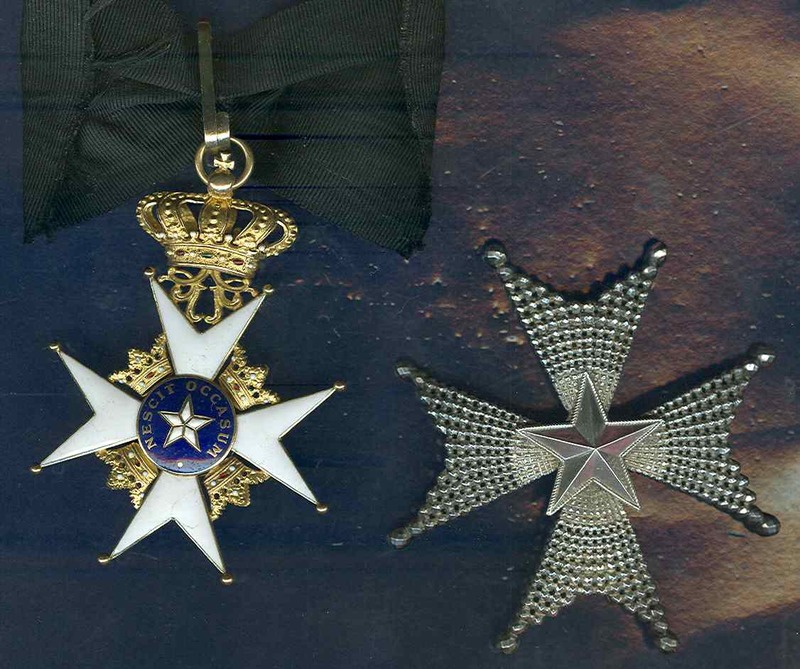 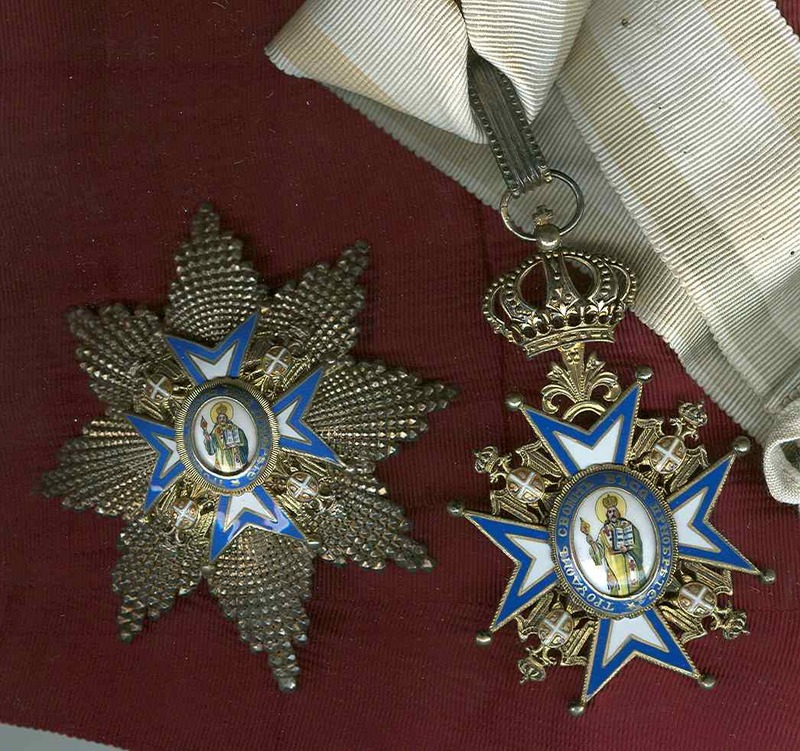 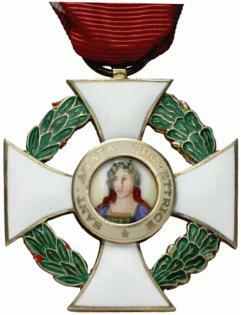 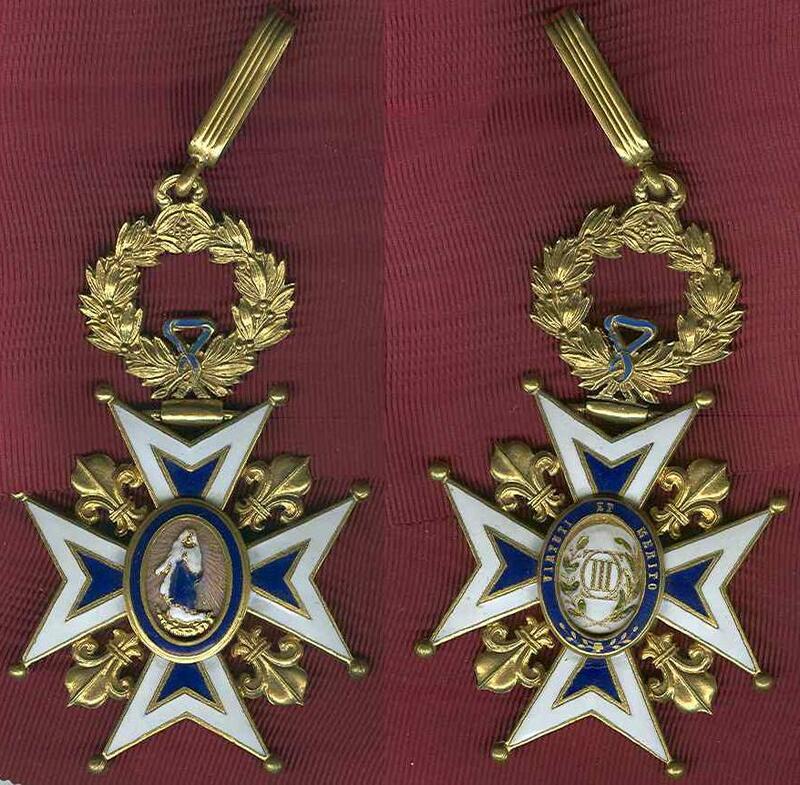 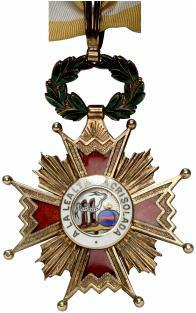 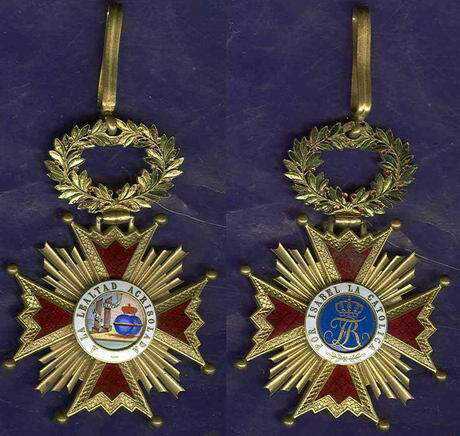 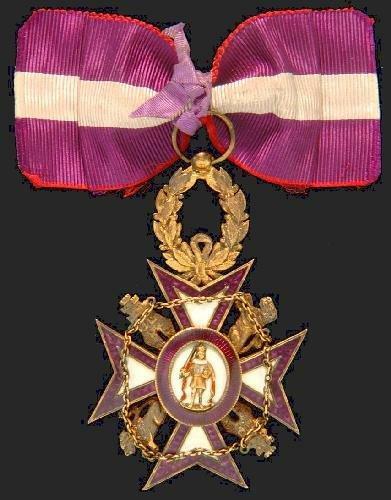 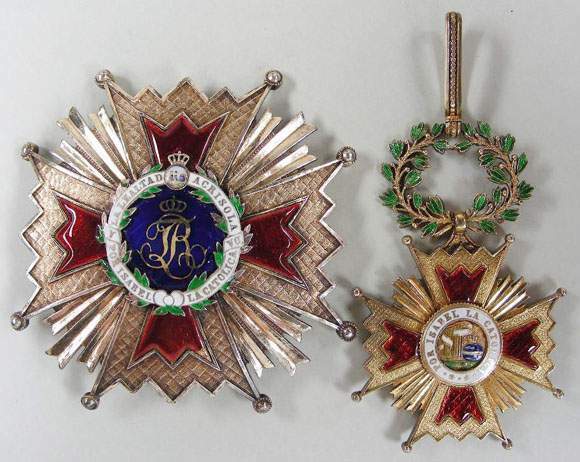 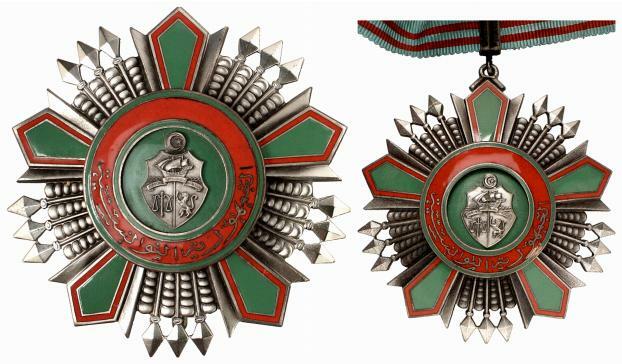 Spain Order of Cisneros Grand Cross set complete with original sash in excellent condition. 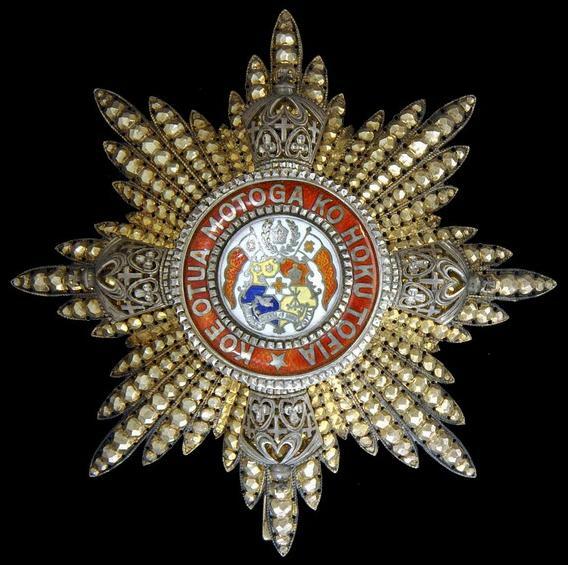 Spain Order of Isabella the Catholic Grand Commander's Star, in Silver, gold, gilt and enamels, a 1940s type star. 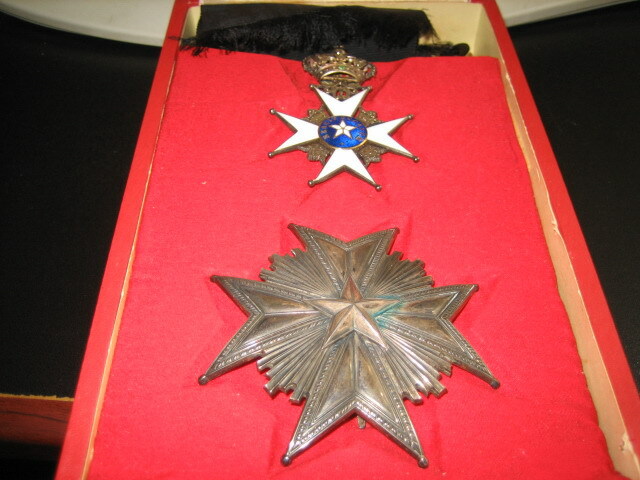 VERY RARE FRANCO ERA COMMANDER'S STA. 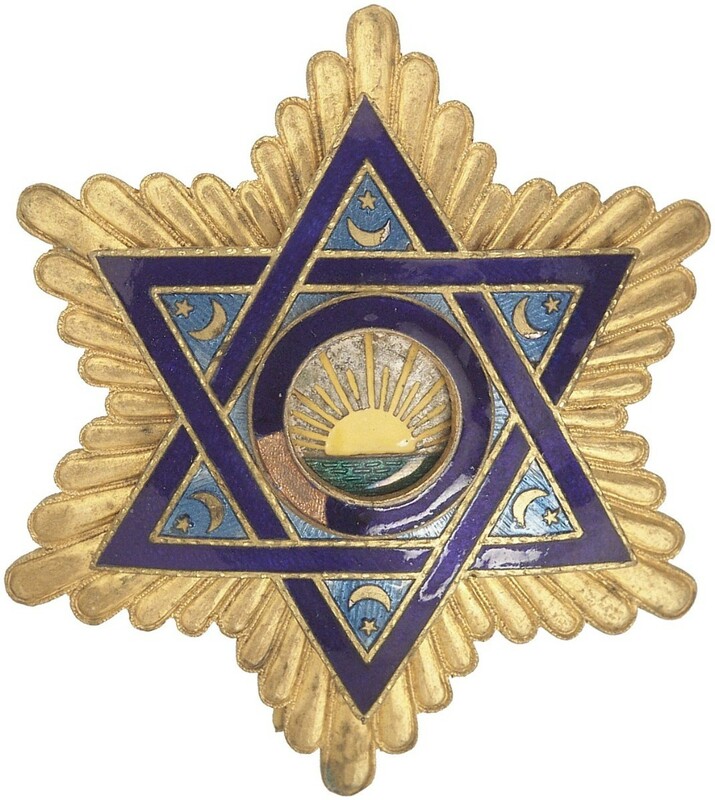 Superb workmanshift. 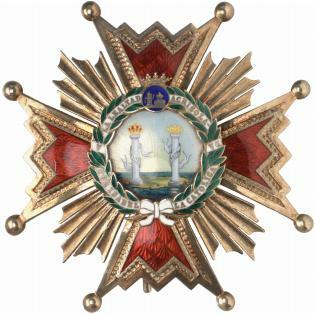 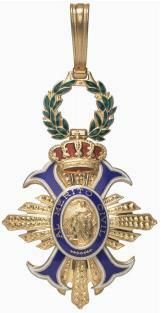 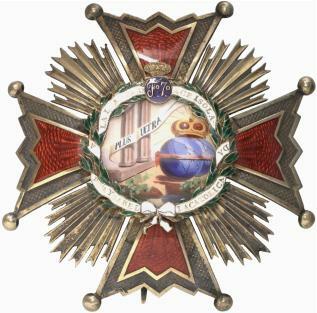 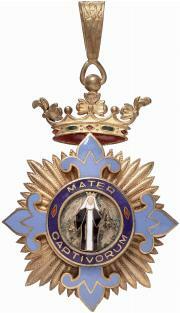 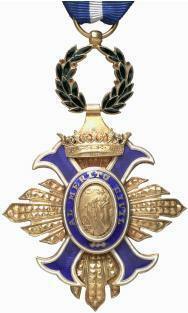 Spain Order of Isabella the Catholic Knight Badge, a very early type from circa 1860s with high relief gold center. 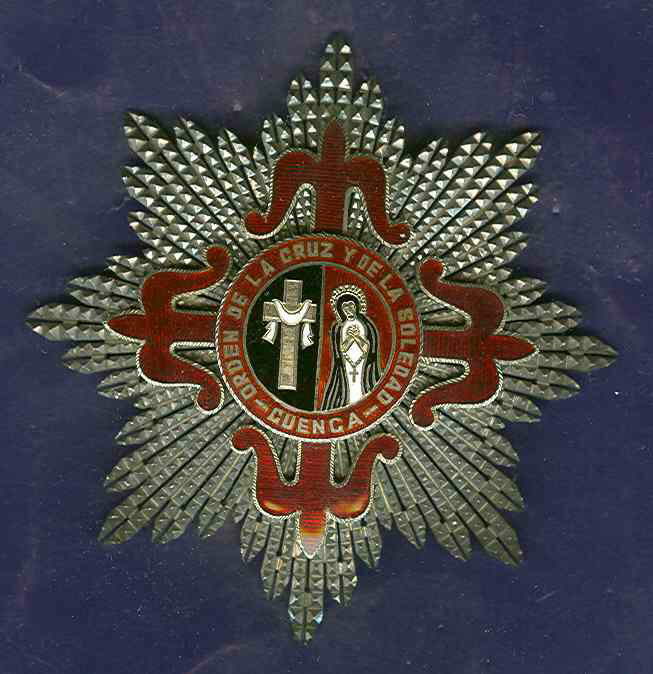 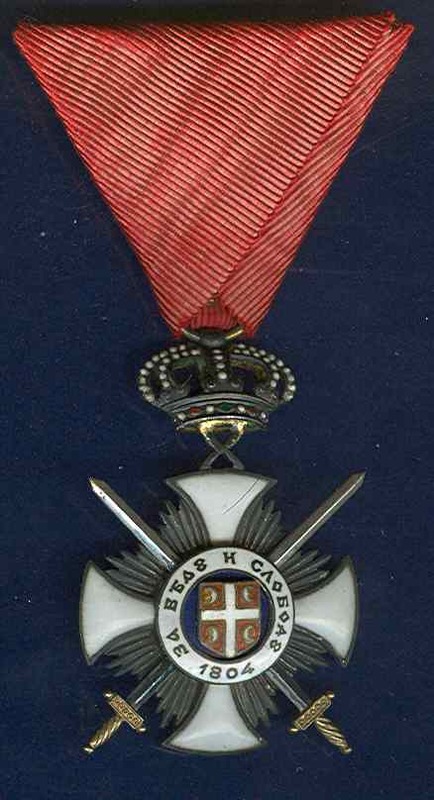 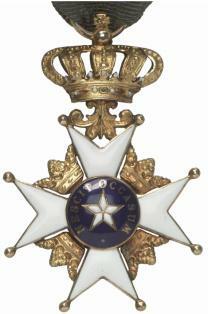 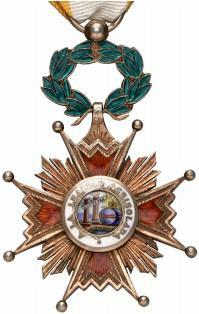 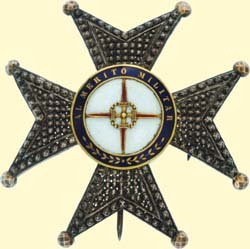 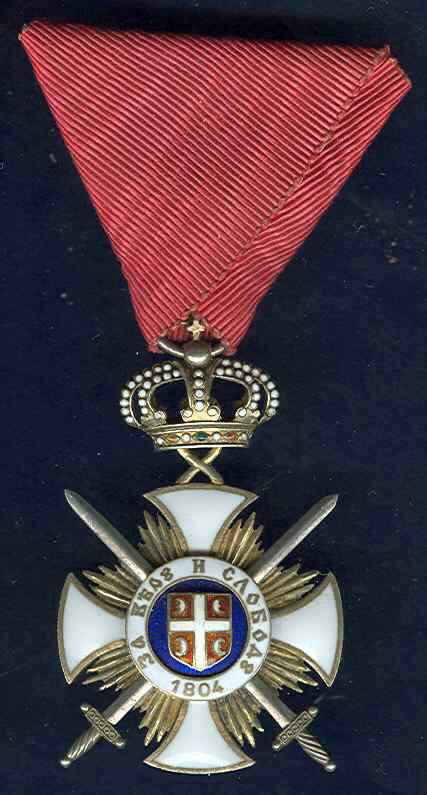 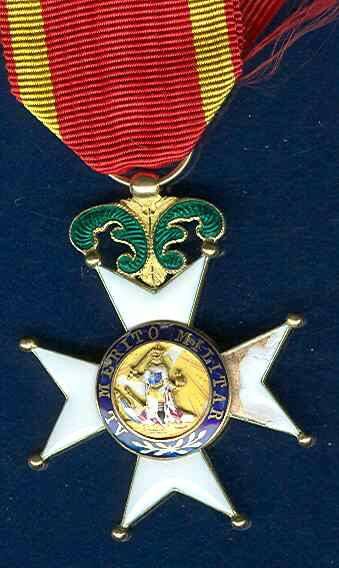 SPAIN - ORDER OF CIVIL MERIT Grand Cross Badge, 1st Type (1926-1931). 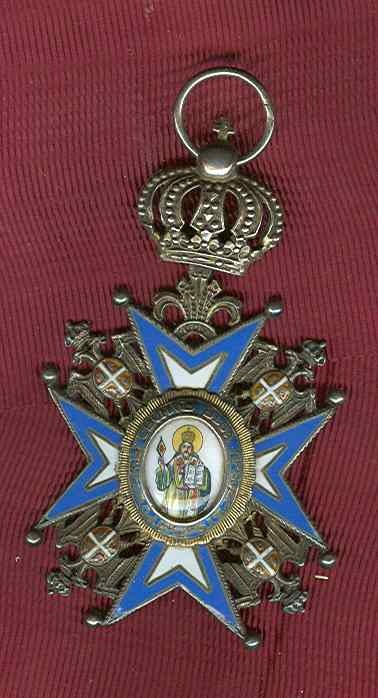 Sash badge, silver, multipart construction, superimposed parts enamelled, wreath suspension above and ring, with long complete sash. 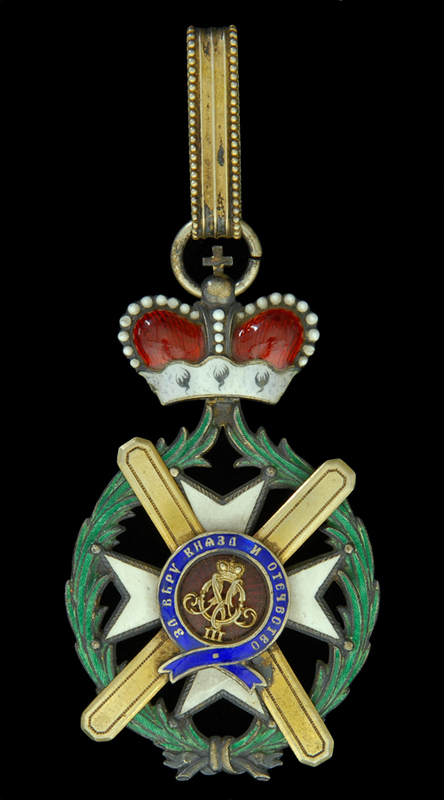 Rare and of high quality! 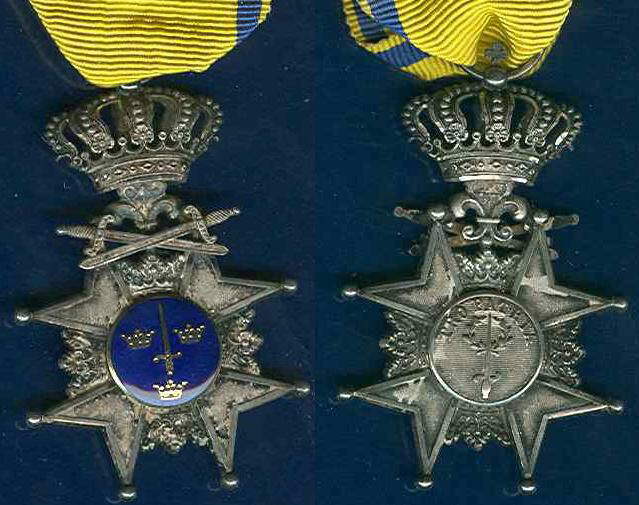 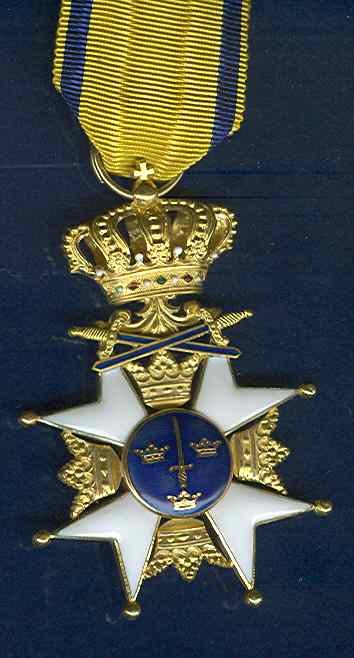 Sweden Order of Sword Grand Officer set, the badge is in gold and enamel, minor enamel flaw in the center. 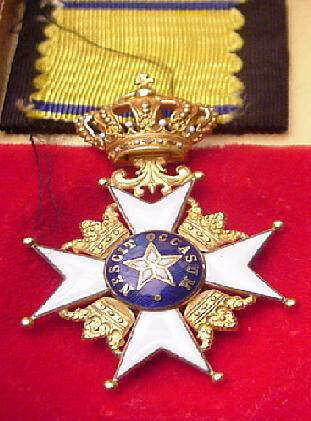 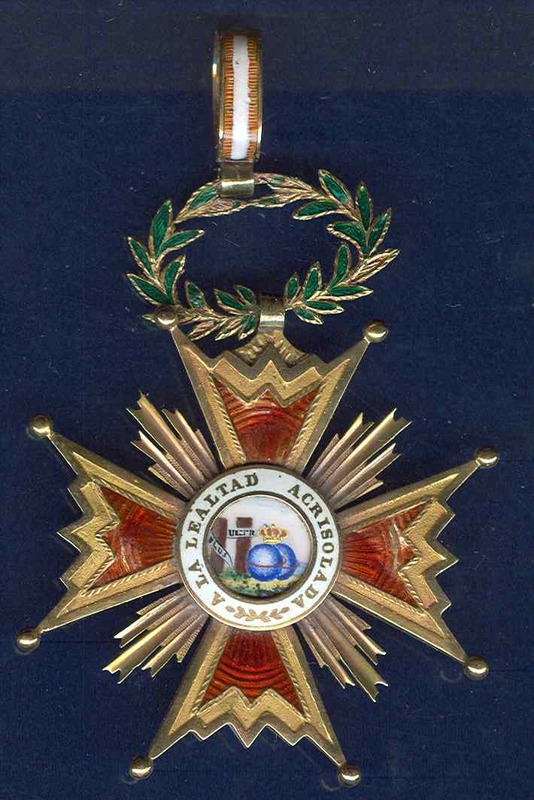 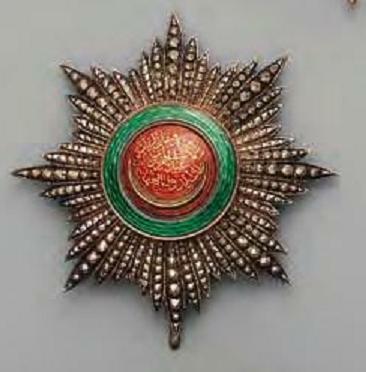 The star is silver, gilt, gold with gold and enamel center. 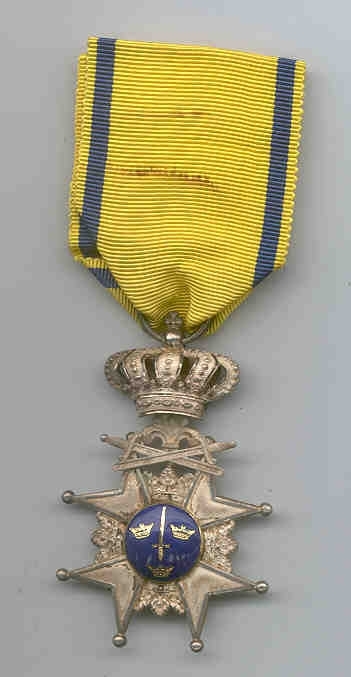 Sweden Order of Sword First Class Knight Badge in GOLD and enamels. 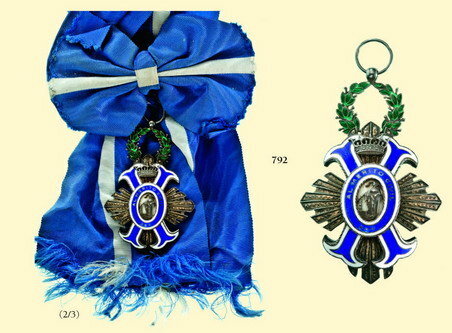 Thailand, Order of White Elephant, Grand Officer set complete with original ribbon and case, this is a rare 1st Type. 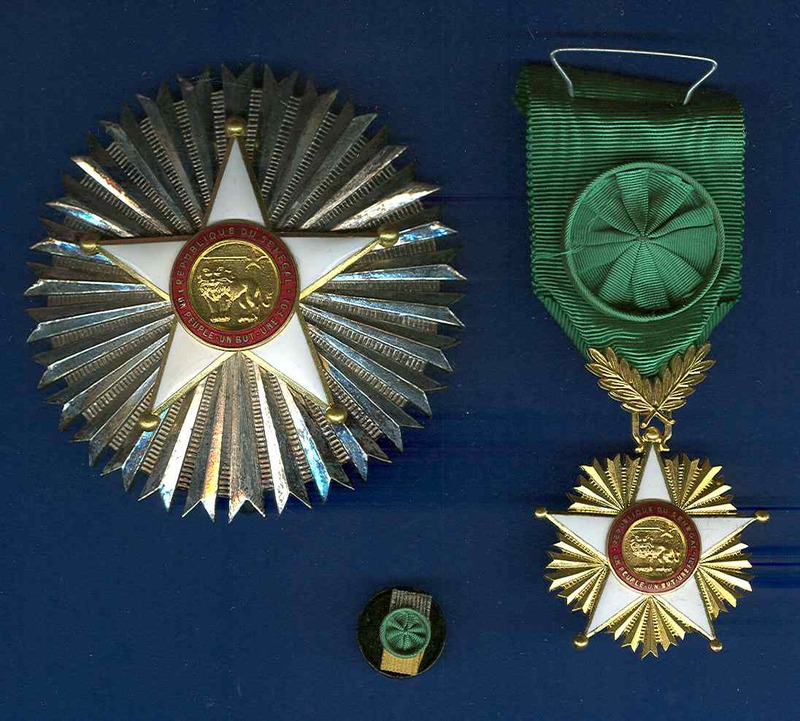 Turkey Parliament star FOR MEMBERS OF THE NATIONAL ASSEMBLY 1916 – 1919, only 334 sash decorations awarded, Silver gilt and enamels. 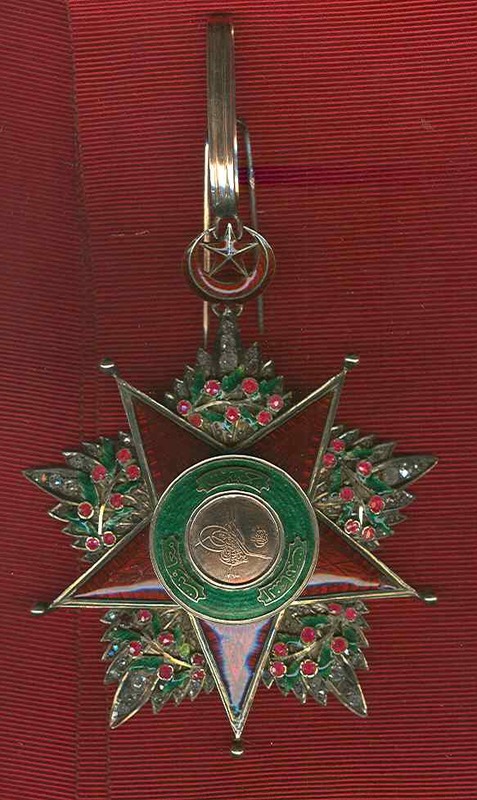 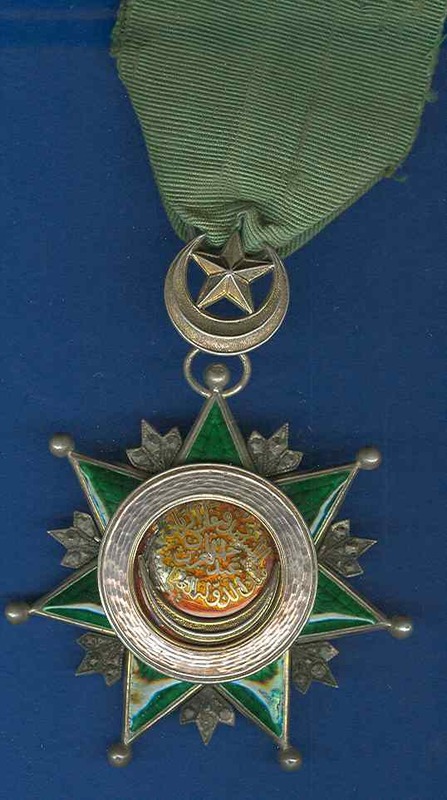 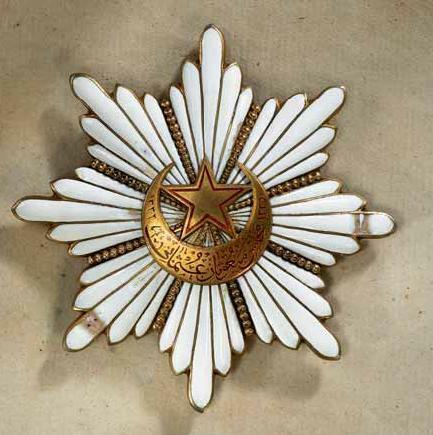 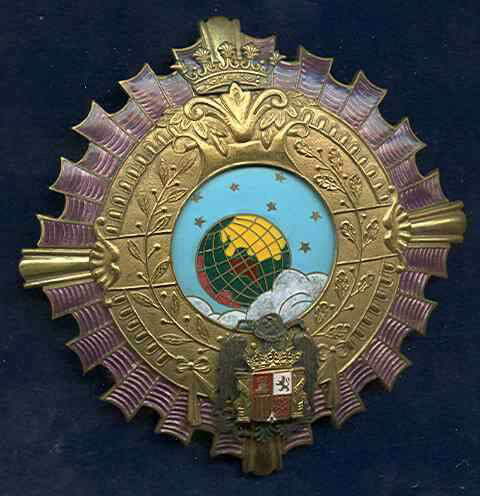 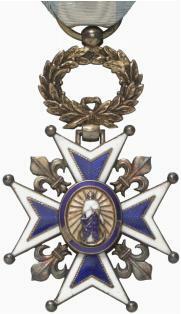 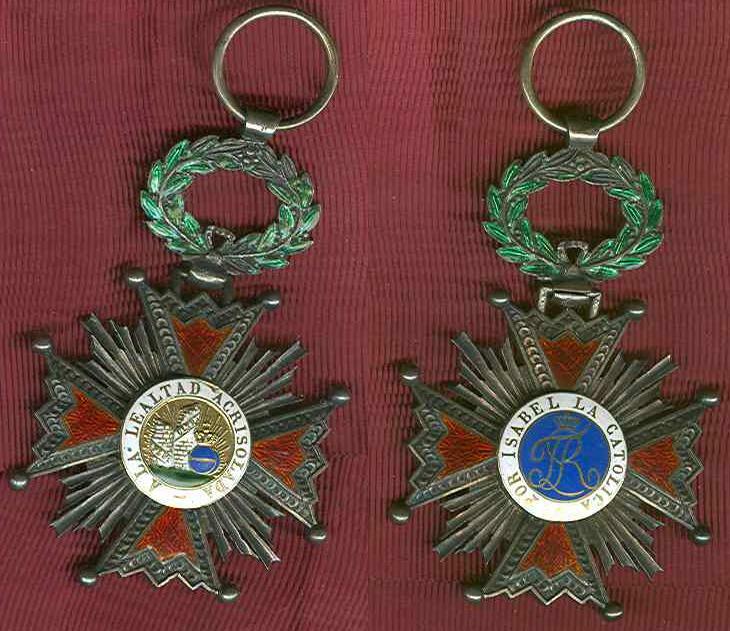 Very rare Example of this decoration that was carried only by the members of the "young Turkish parliament" 1916 – 1919 as an insignia of rank. 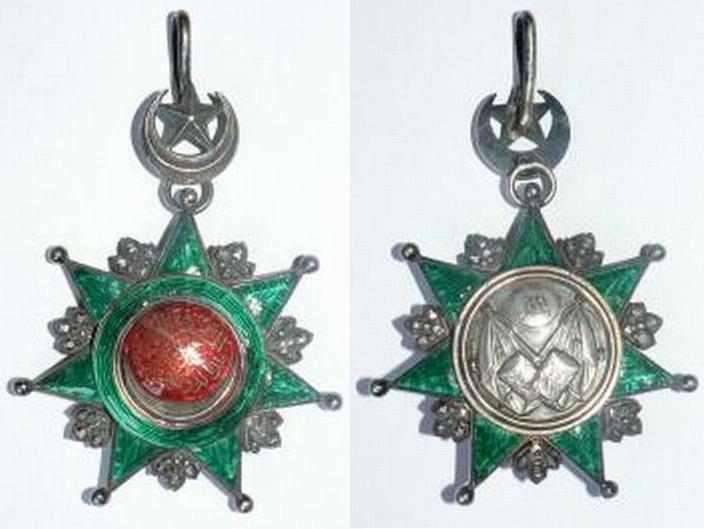 Two minor enamel flaws on two of the rays otherwise an excelent example. 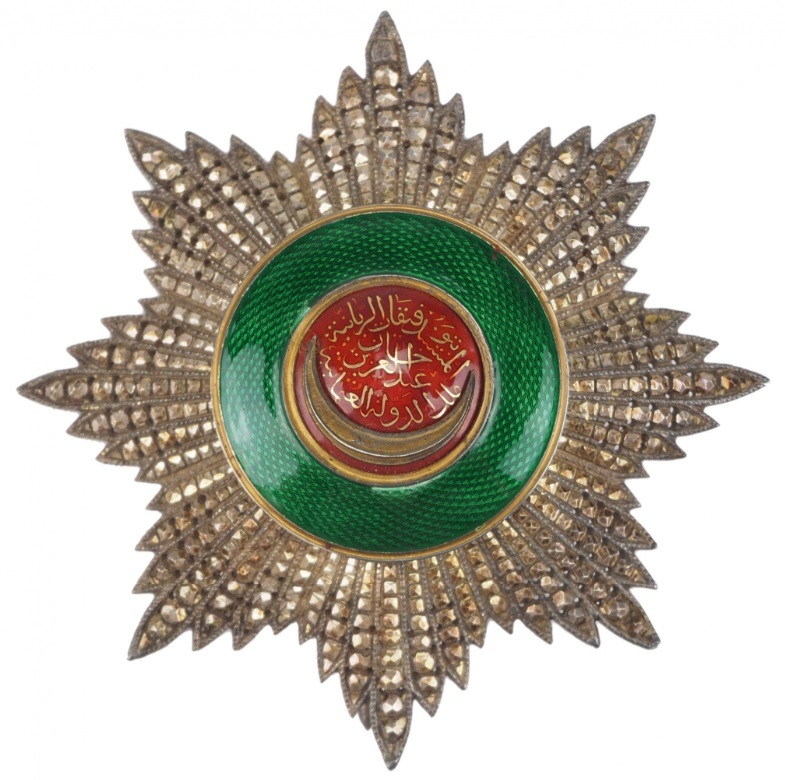 NEW-Turkey Ottoman order of Sevkat Grand Officer neck badge in superb condition, set in diamonds and rubies and GOLD. 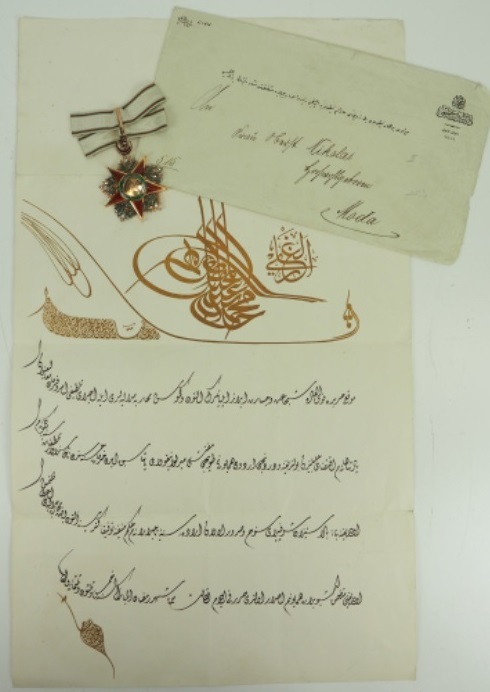 Complete with original bestowal order and envelope. 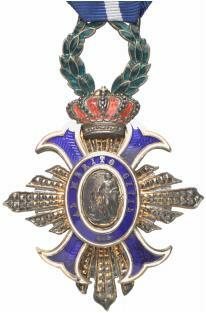 Oberst Georg Friedrich August Nicolai Pascha was Commander of the 3. 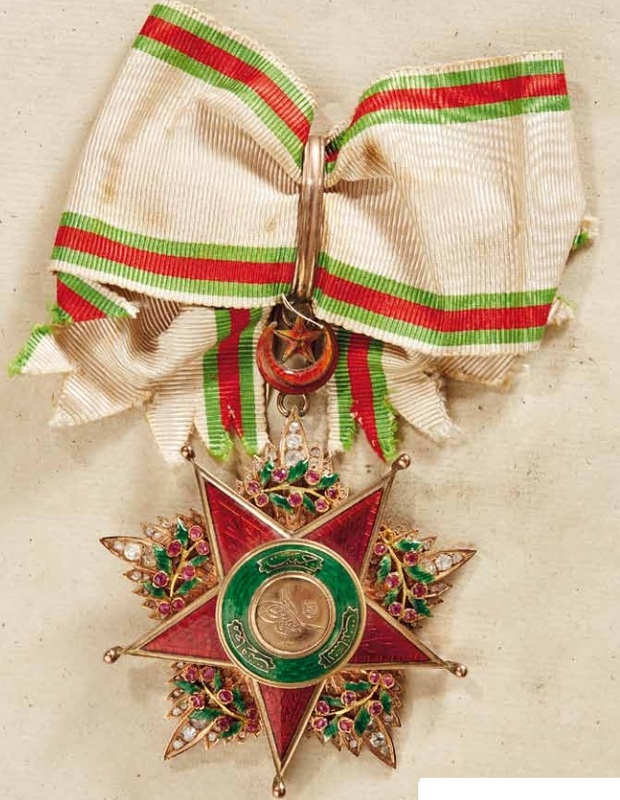 Ottoman Division and distinguished himself during WW1 by taking part in defending the Gallipoli peninusal, ensuring that the british expedition corps could not hold the occupied land. 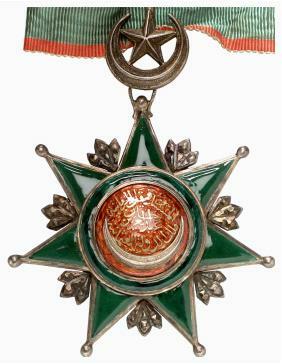 His wife followed him to the Ottoman Empire and was engaged in the Aid of Wounded in the Field Hospital in Moda. 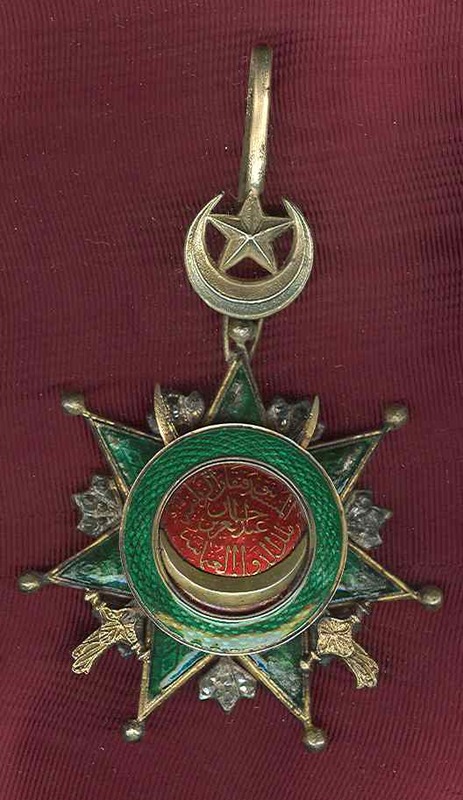 Therefor she was decorated by Sultan Mehemed VI. 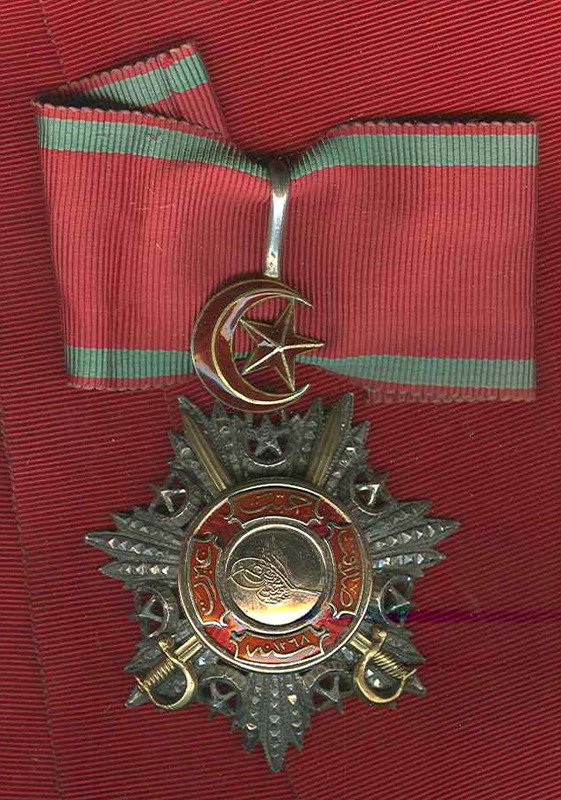 with the Sefkat Nisani. 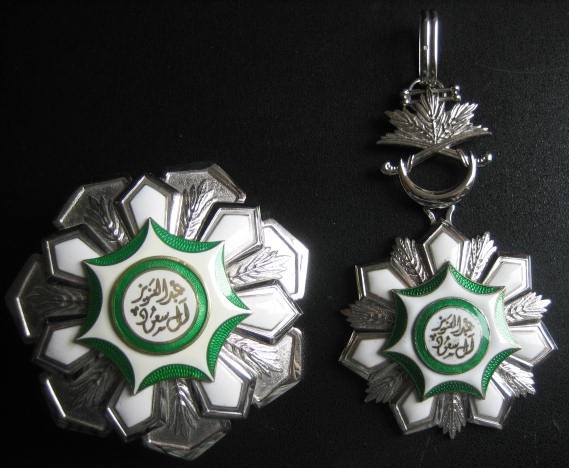 Very nice set. 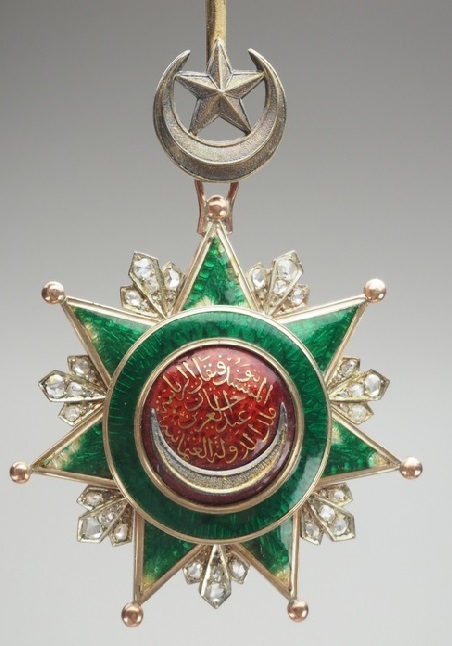 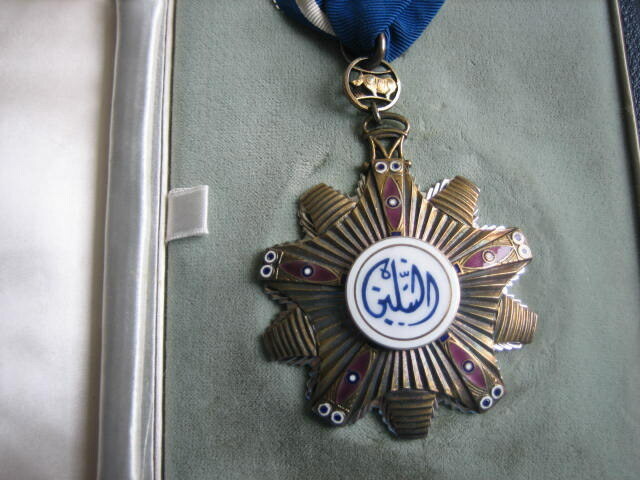 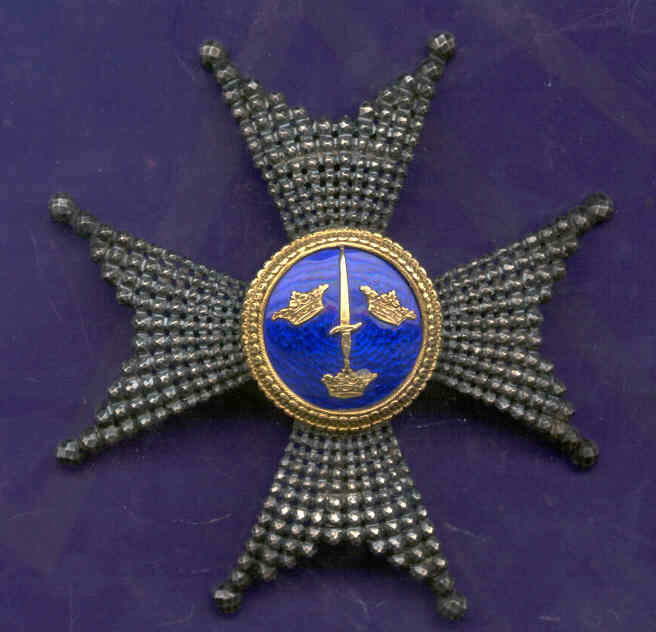 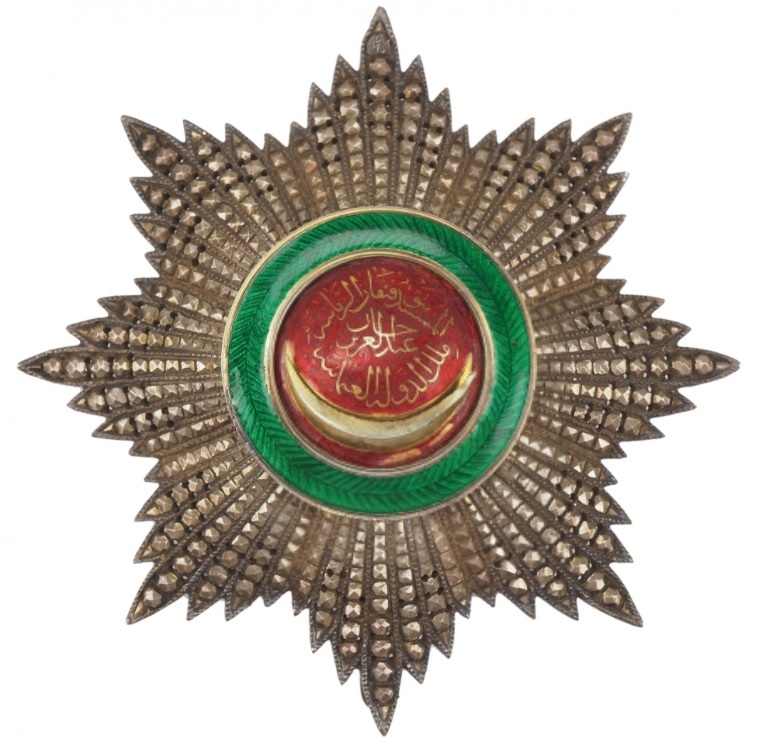 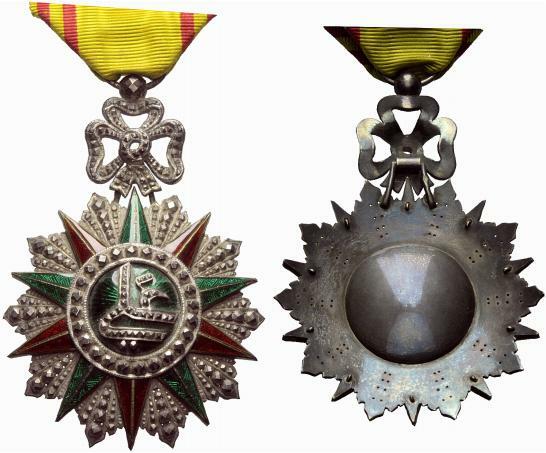 Turkey Ottoman order of Mejidjie Grand Cross Star, a very early star, circa 1852 in gold, silver and enamel. 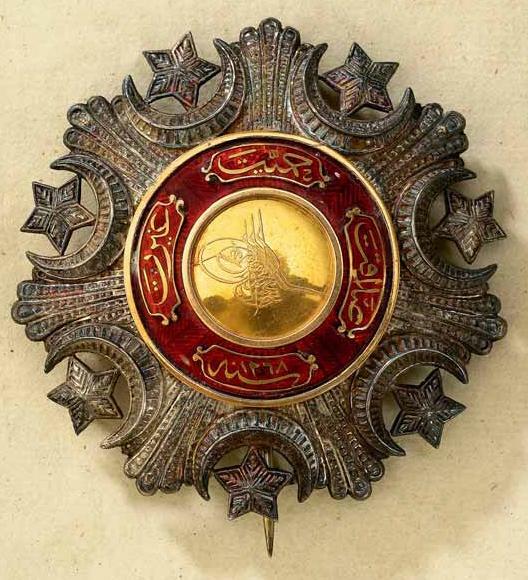 An extremely rare early type, truly a unique star. 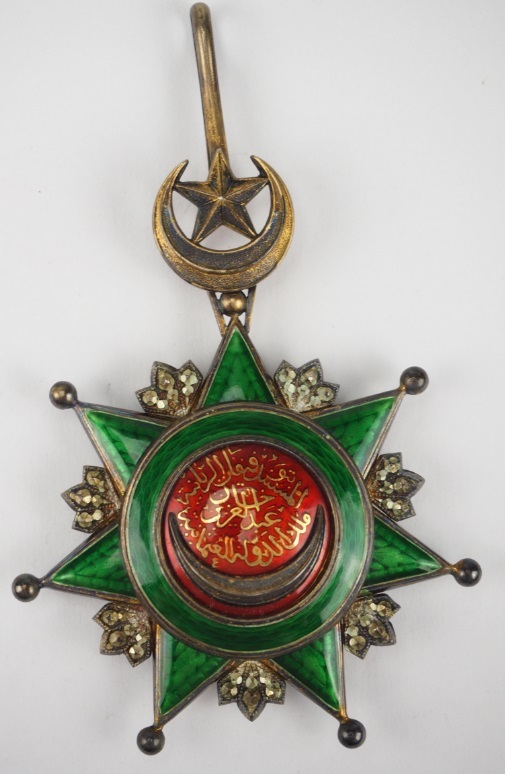 Turkey Ottoman Order of Mejidjie Military Commander Badge with swords, a very rare type where the hilts of the swords are the rarer type. 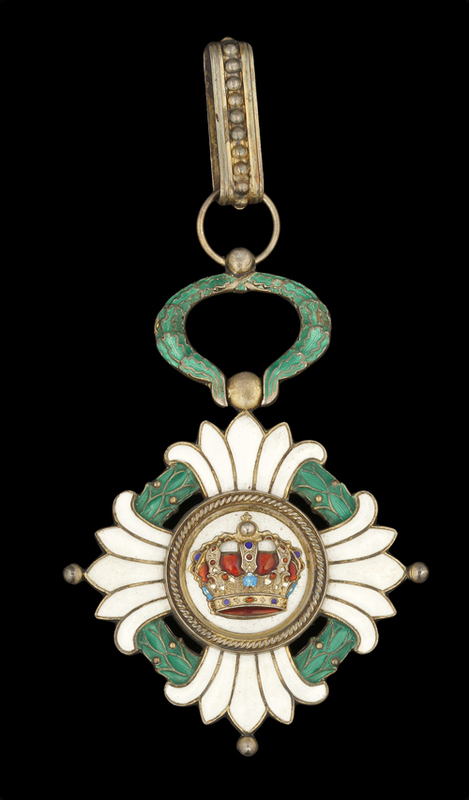 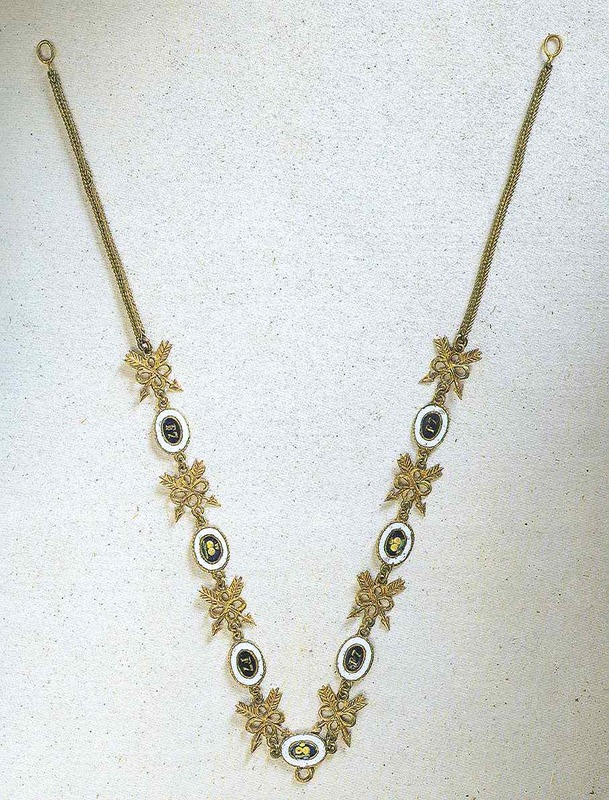 In silver, gold and enamel with original ribbon. 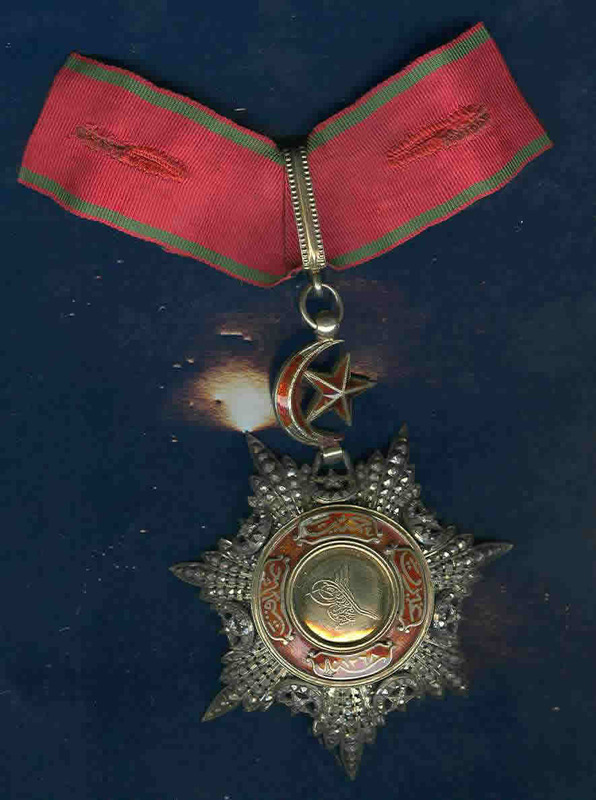 NEW-Turkey Otooman-Order, 1. 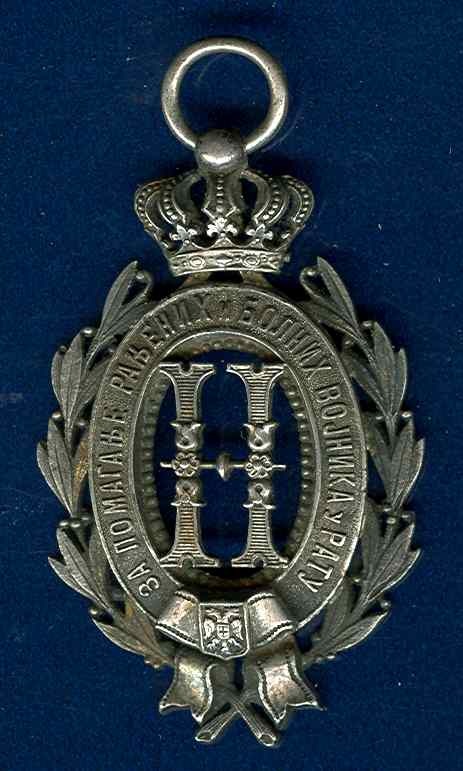 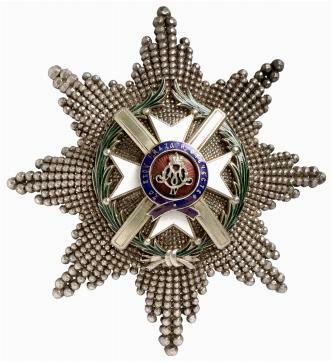 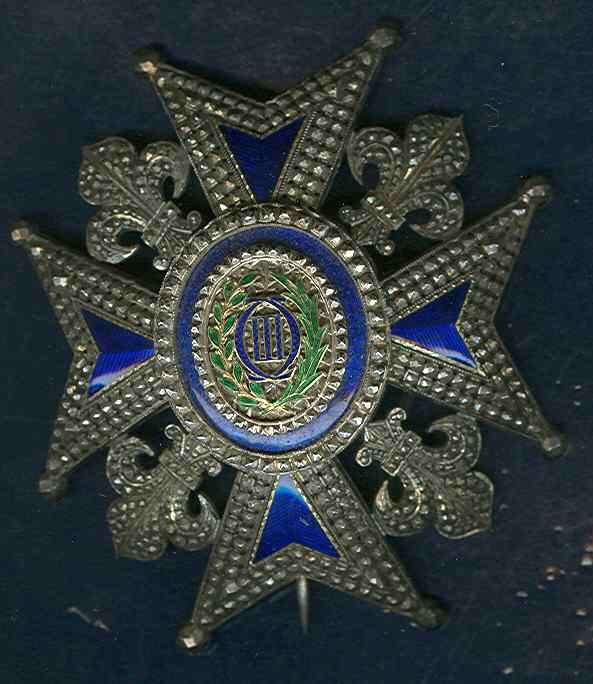 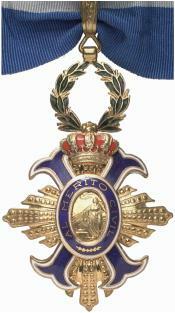 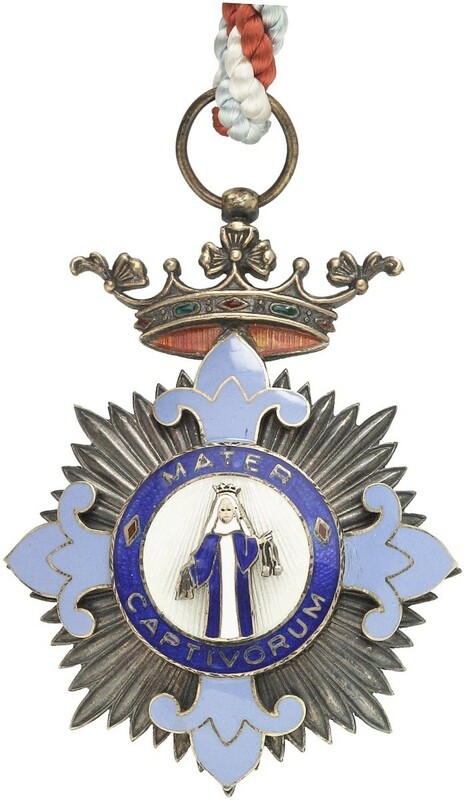 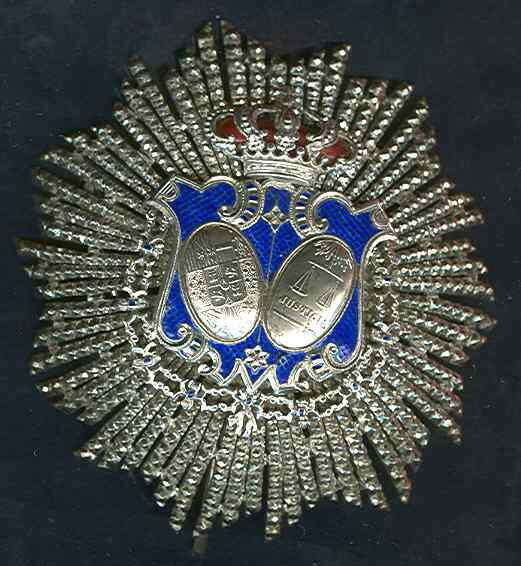 Class Badge with Diamonds. 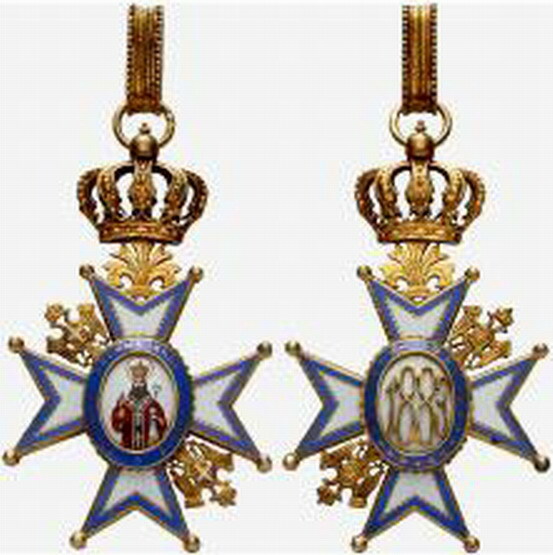 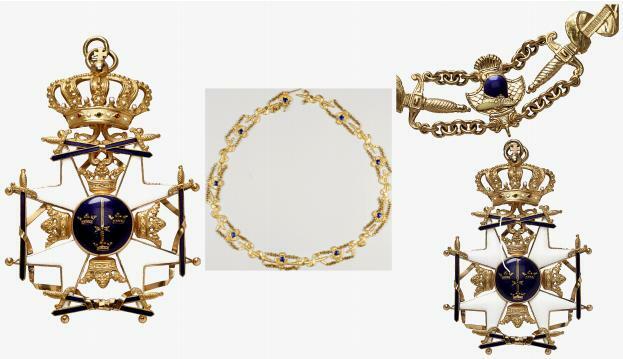 Gold, partially enamelled, multiple parts construction, the ray segments between the arms set with 49 á jour fixed diamonds (proofed), on movable hanger. 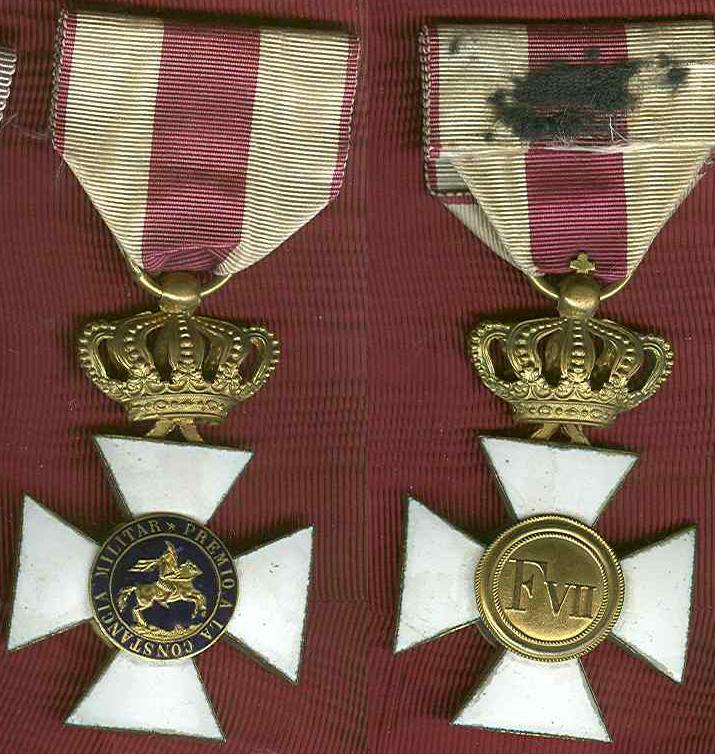 Signs of wear. 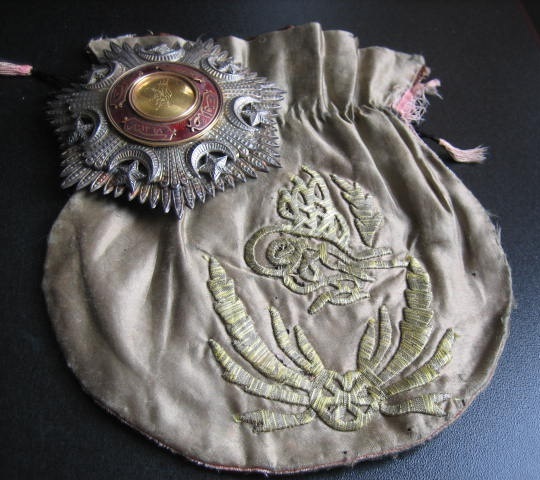 NEW-Turkey Ottoman 1. 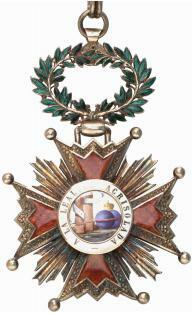 Class Breaststar. 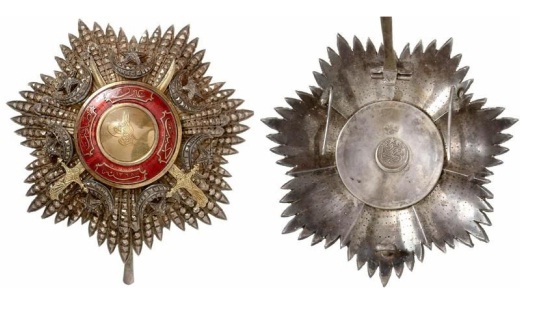 Silver, body diamond shape like cut, the medaillon in multiple parts construction, partially enamelled, chipped, decorative hallmark on the back, , on pin, two sidehooks. 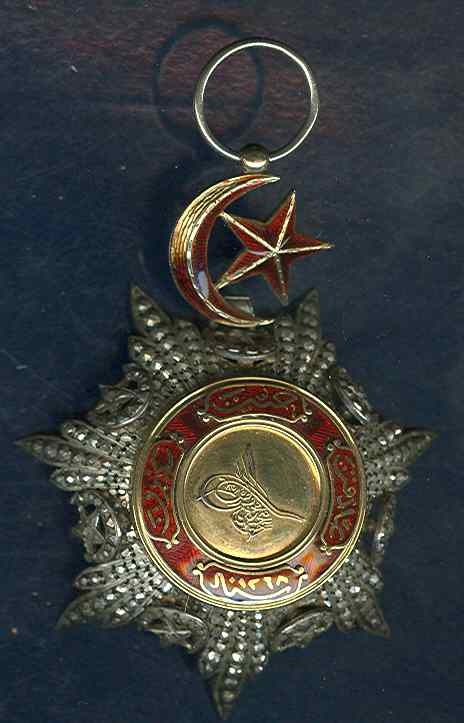 NEW-Turkey Ottoman Order of Osmani 1. 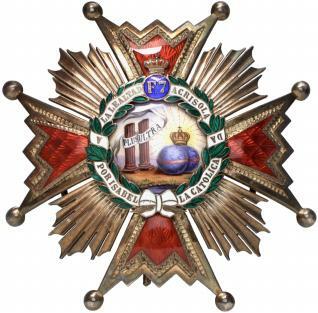 Class Breaststar. 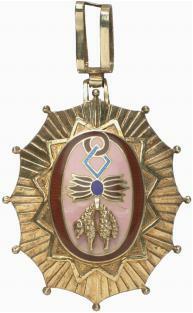 Silver, body diamond shape like cut, the medaillon in multiple parts construction, partially enamelled, chipped, decorative hallmark on the back, on pin, two sidehooks. 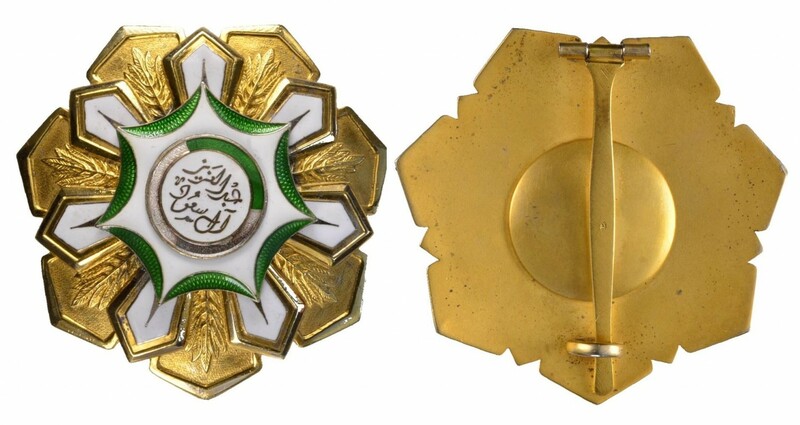 92 x 91 mm, 86,1 g.
Turkey Ottoman order of Medjidjie Knight badge Crimea Period, British Type with concave reverse.